If you’re having trouble hitting the right notes, you’re not alone as it can happen to the best of them. It has happened to me too but I discovered that working on my vocal tones really helps. Here are some techniques to help exercise and work on my vocal cords. Practice abdominal breathing as it will help support and empower your voice, sculpting and developing your vocals too. This type of breathing will also exercise the Thoracic Diaphragm, a muscle that is found below your lungs. The more you engage this muscle, the better your vocals will be. It is also a good idea to try different types of vocal exercises and work out different consonant and vowel shapes. You will also want to vary your vocal qualities, range, duration, tempo, rhythm and volume. Some people don’t like to hear their voice recorded but it does help you spot those areas you need to work on. For instance, I recorded my voice and noticed that I needed to focus on my pitch and work on it. 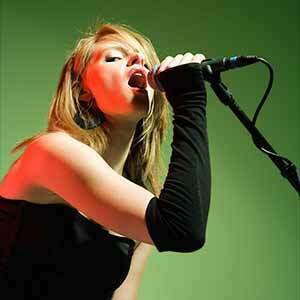 One simple way to improve your vocal tone is to drop your jaw as singing with a partly closed mouth can be difficult. By dropping your jaw your face will lengthen and the sound vibrations will proceed out, providing the nasal sound you want. The nasal sound that this will produce has a pleasant twang. Raising your larynx will brighten the sound of your voice while lowering the larynx will “darken” it, so it’s a good idea to experiment with it to find the right combination that works for you. This may seem difficult at first but as long as you keep practicing you will eventually get the hang of it. You should also change the position of your tongue. For instance, bringing your tongue forward and touch the tip at the back of your bottom teeth will produce a clear sound. But if you pull your tongue to your throat you will attain a deeper tone. If you want to sing high notes, don’t shout as it will just lead to vocal strain. It is much better to release your vocals to get the notes. You know you are doing it right when you feel the vibration throughout your body. Properly done, your voice won’t end in your throat but continue right to your head. While these vocal tone tips do help, they really can’t help you get the most out of your voice. I realized this which is why I went online and looked for some help. After spending a lot of time researching, I came across one which seemed very useful, the Superior Signing Method. The Superior Singing Method program offers a step by step approach to improving your singing. In fact, module 3 deals with vocal tone such as increasing the quality of your voice and how to add fullness and richness to your voice. There are also modules that focus on aspects like improving your pitch and singing high notes. I read many of the reviews in the program and the majority of them are very positive, such as product-investigation.com which says that “it (Superior Singing Method) offers a great way to improve your voice”. I was also pleasantly surprised to see that a lot of people have tried out the product such as Malisha Jones who said that the program is “very useful”. Based on the reviews alone it seems the program does produce results. If you’re interested in buying the Superior Singing Method, there are two editions available: basic and deluxe. 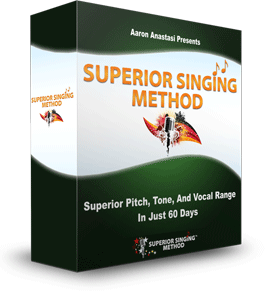 The basic edition which costs $97 includes the Superior Singing Method program. The deluxe edition costs $77 and has three bonus programs: the Superior High Notes, Vibrato and Vocal Health plus 30 day VIP Coaching Job access. Payments can be made using popular credit cards or PayPal and it comes with a 60 day satisfaction guarantee. If you’re going to buy this system, make sure that you do so only at the official site as there are pirated versions out there. Those vocal tips I mentioned can help improve your voice but I have to admit that the Superior Singing Method took me a step further. The techniques covered in the system are also very comprehensive and as many reviews have shown, they do seem to work. I also like the fact it doesn’t just focus on vocal tones but the entire package; your resonance, breath management, vocal range etc. Given its price it seems to offer real value for your money and the next best thing to hiring a professional vocal trainer. 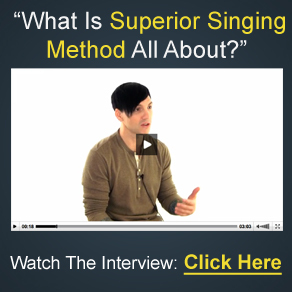 If you are interested in finding out more about the Superior Singing Method here is the official site: http://www.superiorsingingmethod.com. Good luck!